When I was younger I watched The Newhart Show on television. 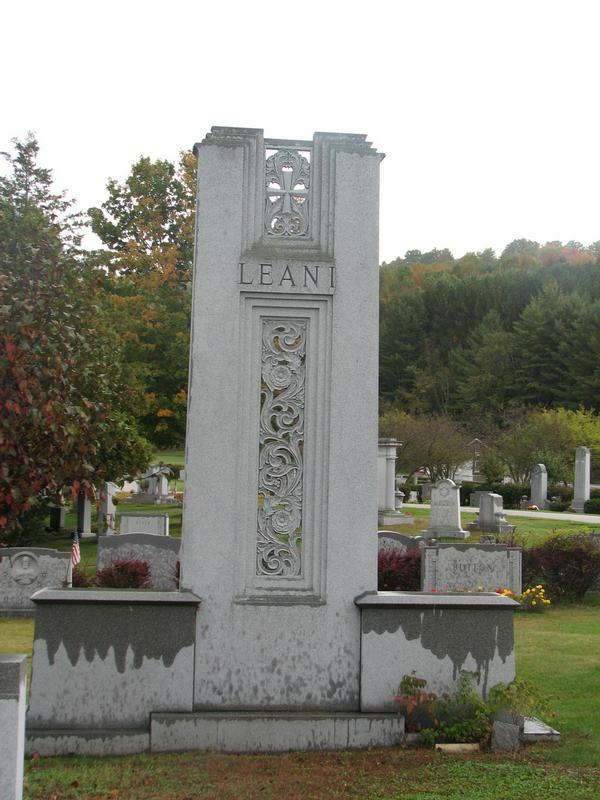 It was a sitcom set in a small town in Vermont. Bob and his wife ran the Stratford Inn. I always referred to it as the Vermont Inn and told anybody who would listen that I’d really like to go there someday. 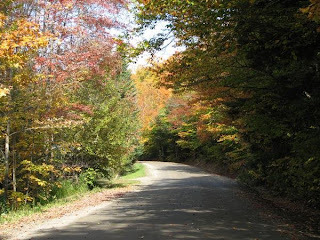 I wanted to go in the fall so I could see the leaves as they changed. Fast forward many years, and what did my sweet husband plan for a surprise? That’s right. A stay at the Vermont Inn! Actually, and I didn’t realize it at the time, there really is a ‘Stratford Inn’ located in Middlebury, Vermont. It’s the Waybury Inn and is the picture you see when the show comes on. While we were there we visited a cemetery. We hadn’t planned to see a graveyard but as we were having lunch the waitress told us we really needed to go. So, being the obedient tourists we are, we set off to find Hope Cemetery in Barre, Vermont. We drove out to the cemetery along a tree covered road. It was a cloudy day so the overhanging branches added to the gloom and mystery of the journey. At last we reached the edge of the cemetery. To say it was amazing is an understatement. So what is so remarkable about acres of ground filled with dead bodies? 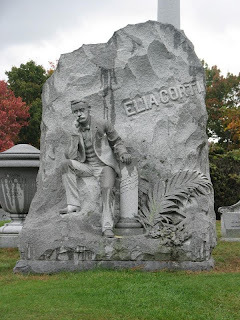 The over 10,500 monuments made of Barre Gray granite. The tree-lined road to the cemetery. The edge of the cemetery. 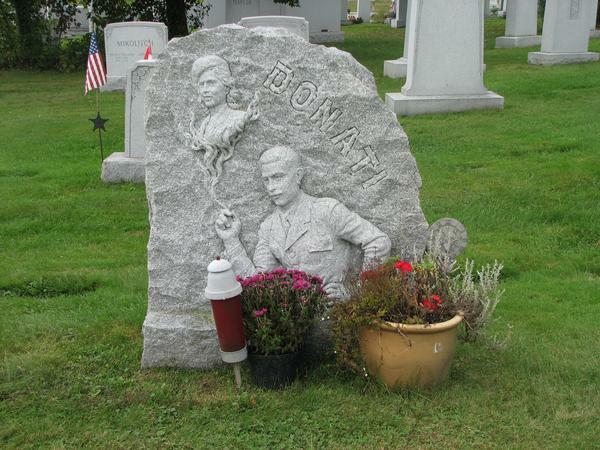 Many of the people buried in Hope Cemetery were of Italian heritage. 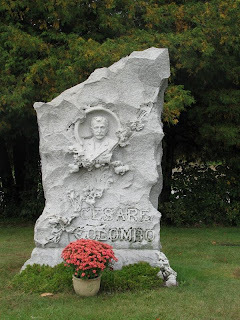 This is because Italian immigrants came in to work in the stone cutting industry after the cemetery opened. 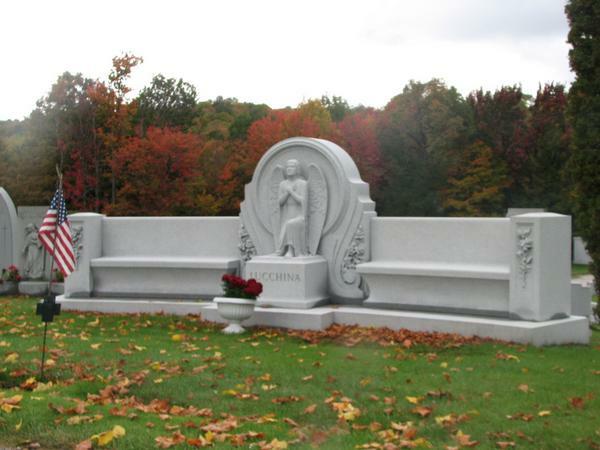 Only memorials made of Barre Gray are permitted there and larger than average monuments are allowed. 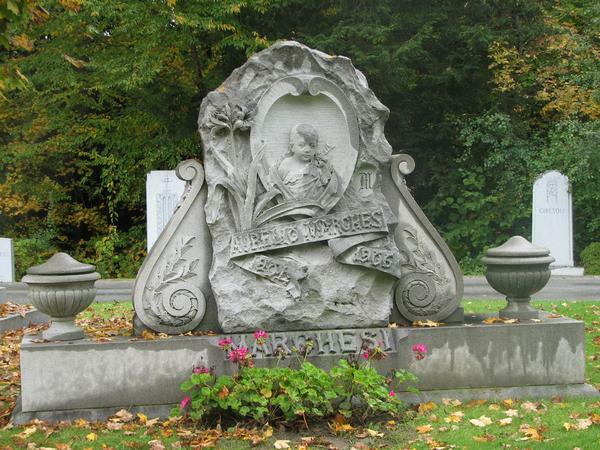 Strangely enough, many people erect tombstones years before they die. That way, they are able to see how they will be remembered and enjoy their own monuments. If that’s not creepy then I don’t know what is! We started looking around in amazement. 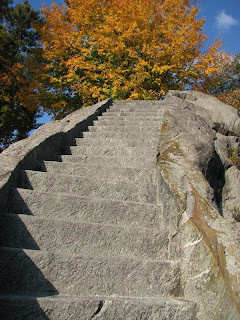 There was a huge piece of granite with stairs carved into it. When you got to the top it was a marker for an entire family. A side view of the monument. 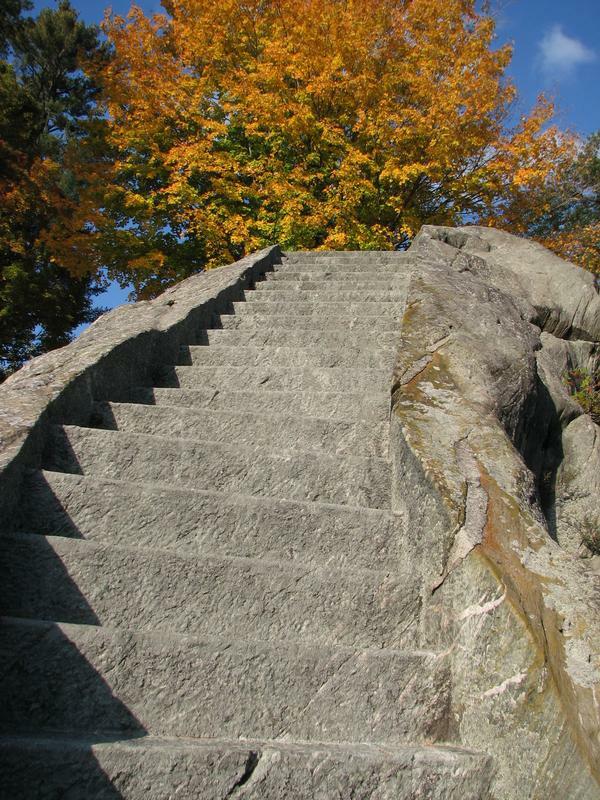 The stairs carved into the granite. The names of the family. Family name and name of the sculptor. 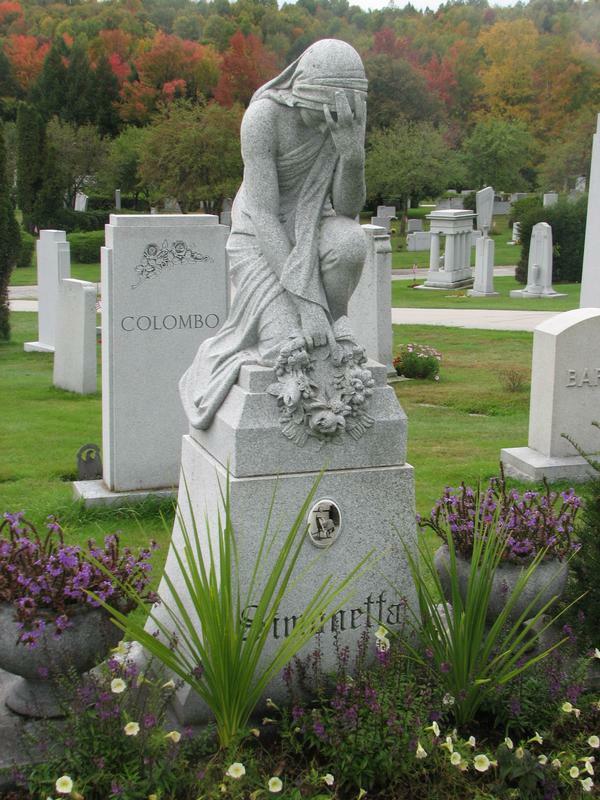 The monuments usually reflected the interest or some personal aspect of the person buried. There was a race car, an airplane, a cat and even a chair. 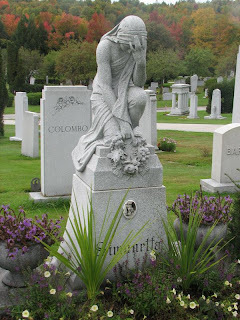 Several had scenes carved or sandblasted on their surface. There was a country road with a fishing pole on one side of the gate and a rifle on the other. There was a truck, an 18-wheeler, complete with a shell emblem on the side. There was an office scene with a typewriter, books and glasses. There was even a motorcycle rider. 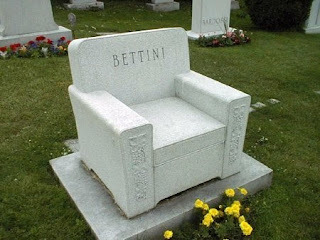 Many of the stones had a rendering of the interred. 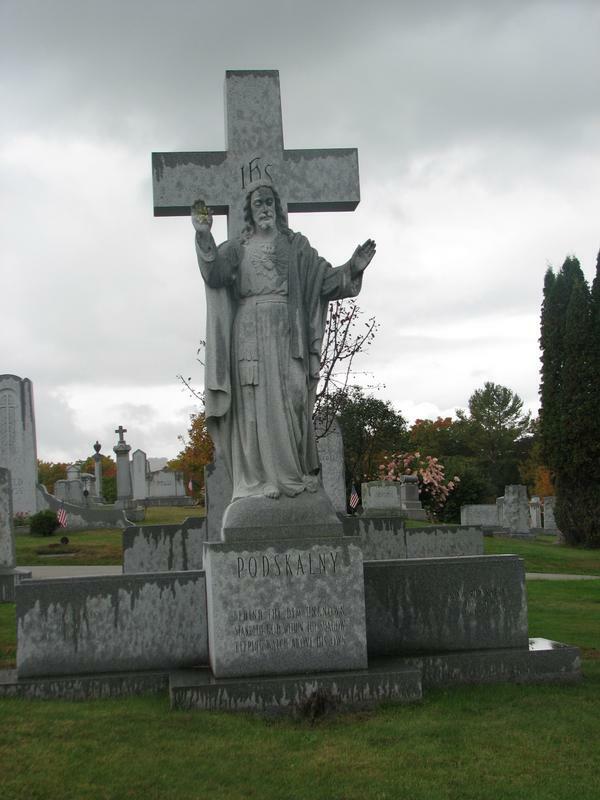 Numerous memorials had grief stricken or religious figures included. All have intricate detail. One huge shrine was a couple, sitting up in bed. 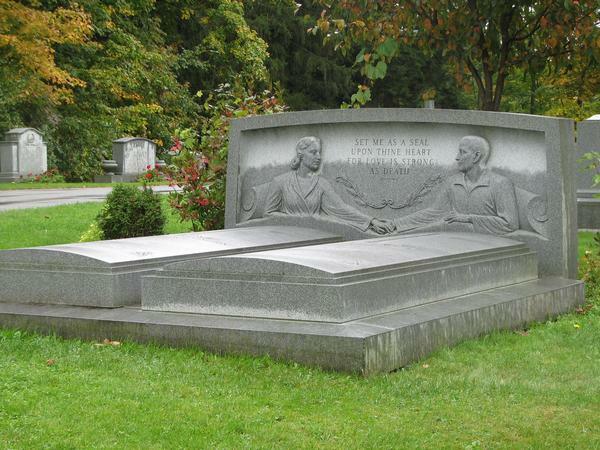 She was on one side, he on the other with their hands touching while they gaze at each other. A cloak folded on the stone. 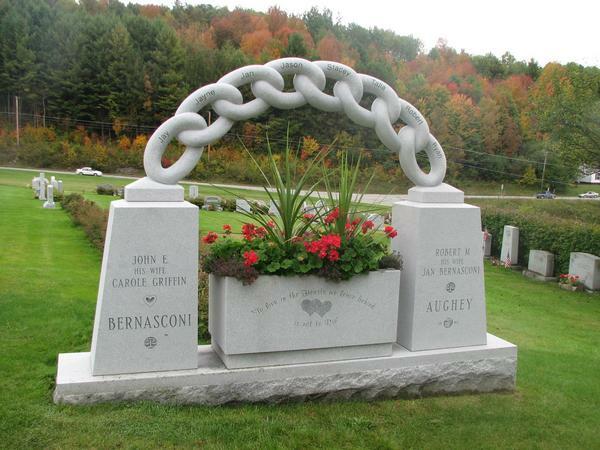 A chain on a couple's headstone. We explored, driving along the roads by car and then investigating on foot, moving from stone to stone, in awe. The clouds had closed in and it was starting to sprinkle. I was looking around and I said to Alan, “Probably the only thing I haven’t seen is a ball of yarn!” About that time I stepped backwards, almost falling. I looked down and then at Alan in complete surprise. “Come here!” I said excitedly. There, on the ground where I had almost gone to my knees, was a flat marker. 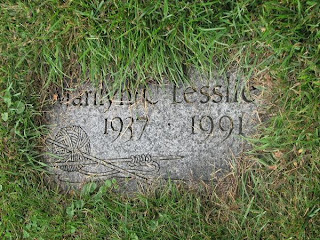 On the marker was a name and a picture of a ball of yarn attached to knitting, still on the needles. Can you imagine the theme from the Twilight Zone? The rain started to come down. I got a chill and didn't know if it was from the discovery or the weather. It reinforced that it was time to go. It was getting just a little too eerie! 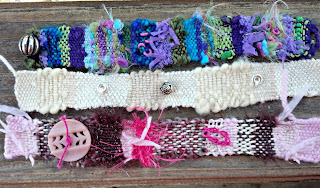 I’ve been playing around with the paperclip loom and finished some funky, fiber art bracelets. I posted a picture on FaceBook and someone wants to buy them! I’m surprised! If you do ever get to Barre, Vermont, it’s well worth your time to tour Hope Cemetery. There are so many amazing stones. You may even find a kindred spirit! Wow! 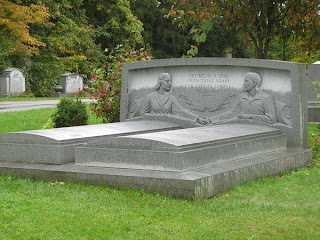 The couple in "bed" holding hands was just about the creepiest thing I have EVER seen! You finding the knitting grave right after saying was definitely a Twilight Zone moment! If I am ever in Vermont this will be a place I will be seeing! Wow! That is incredible! Many props to Alan for such a great surprise. I bet it was so beautiful! 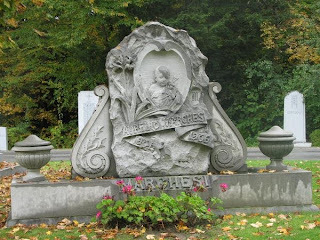 I find old cemetery's so fascinating and this one looks like it goes above and beyond. That hunk of granite is amazing. Can't wait to hear mo about it! What an interesting place. I too enjoy wandering through old cemeteries. This one goes on the bucket list!